The Houston Astros are not a team with a lot of glaring weaknesses to address this offseason. But that hasn’t stopped them from making a marquee signing in free agency. 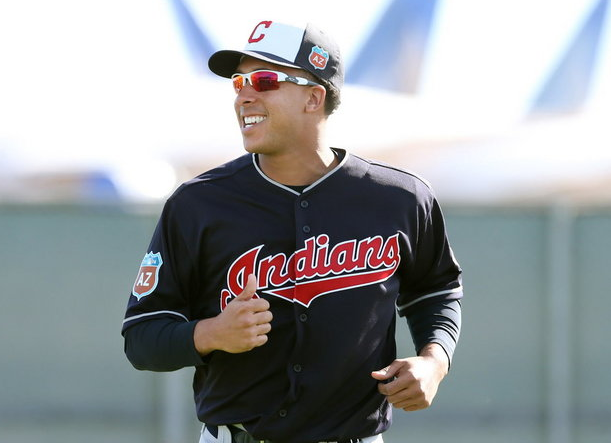 According to multiple reports, the Astros have struck a deal with outfielder Michael Brantley. The deal is reportedly worth $32 million over two years to make the longtime Cleveland Indian Houston’s new left fielder. Brantley has had a rather interesting odyssey no his way to free agency. He missed most of the 2016 season because of a shoulder injury he suffered late in the 2015 campaign. He returned in 2017 but was sidelined for most of the second half of the season because of a sprained ankle that eventually required surgery. However, Brantley was able to stay healthy in 2018 and returned to the all-star form he had prior to his injury issues. This past season, Brantley hit .309 with an OPS of .832. With the Astros, Brantley will likely take full-time ownership over left field. The past couple of seasons, Houston has pieced together left field with utility man Marwin Gonzalez, fourth outfielder Tony Kemp, and a few others. However, they’d obviously prefer to have an everyday player like Brantley out there. With Gonzalez attracting a lot of interest in free agency, Brantley seems to be an ideal replacement. The fact that Brantley is a left-handed hitter with a fair amount of pop made him an ideal addition to Houston’s lineup. The Astros are loaded with right-handed hitters with Jose Altuve, Carlos Correa, Alex Bregman, George Springer, and Yuli Gurriel. Without Gonzalez and Brian McCann, the Astros have little balance from the left side outside of Josh Reddick. Brantley should help address that problem. The addition of Brantley should also give the Astros some flexibility to make other moves. If Brantley, Springer, and Reddick are the team’s primary outfielders, it doesn’t leave much playing time for players like Kemp or Jake Marisnick. It also doesn’t leave an open spot for top prospect Kyle Tucker. While the 21-year old Tucker struggled to hit in the majors last year, but his ceiling remains incredibly high. With Brantley in the fold, it’ll be easier for the Astros to entertain the possibility of trading Tucker, who is frequently asked about in trade negotiations. Kemp and Marisnick also become more expendable with Brantley penciled in as the everyday left fielder. Houston could even remain open to trading Reddick if there’s interest in him. At a cost of just $32 million over two years, Brantley is a great pick up for the Astros. His past injuries make the signing a little risky. However, when healthy, Brantley is capable of playing at an all-star level and is one of the most well-rounded outfielders in baseball. There should be little doubt that he makes the Astros better and should prove helpful as they chase another World Series title in 2019.